Whoa, can you see how amazing the sunset is? No… you’re sitting on my head. I start with this ridiculous example because laughter is a good thing, and because it’s shows (in a very immature and simple way) the fact that we will come in contact (in this story quite literally) with people who have different worldviews than us. We will also come in contact with them more and more frequently, because as we talked about last time our technological world has made connecting with a vast variety of people remarkably quick and easier than it was 100, or even 10 years ago. The striking thing is this, our clash of worldviews may not even come from someone on the other side of the globe, they may come from someone on the other side of our dinner table. We’ll first off, as we already discovered in part one having a different worldview from someone else is completely normal. Your worldview is based on your specific standpoint with all your specific experiences and lenses making it up. It’s good that we all have different viewpoints, this helps us to grow with each other and expand. The problem is when we force our exact worldview on someone else, or they force it on us- head sitting will not work out well for anyone. Let’s explore this with another metaphor, or parable if you will. Let’s say Juliette is standing on a mountaintop. She can see way across the landscape. From her standpoint she can appreciate the vast beauty laid out before her. 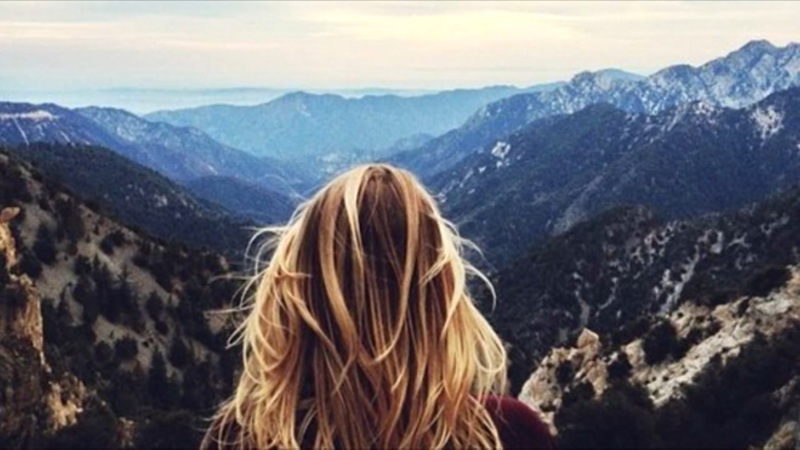 She sees the magnitude of it all and realizes how small she is, how small her worries are, and she finds a moment of perfection on that mountain top. She can also look below and see Jonathan trudging through the forest valley. Jonathan is in the deepest part of the forest, slightly lost, and miserable. He actually quite likes the forest and appreciates being in nature, but it rained two days before and the trails are muddy and not as well marked as they should be. Plus he just stepped in a puddle which soaked his left shoe, all the way to the sock and he can’t get his mind of the project that’s sitting on his desk waiting for him on Monday. From Juliette’s standpoint she can see the trails that Jonathan is taking and the ones that may be a bit easier. She knows that once he makes it through, he’ll get to see the same view she does, she genuinely wants him to see what she can see. The problem is, if Juliette starts yelling down to him instructions about which path to take, or going on and on about how great her view is, Jonathan is probably going to end up being more pissed-off than grateful. Jonathan doesn’t find “go more left” that helpful when all he sees to the left is more trees and mud. Nor does he want to hear about the view that he’s missing, because he can’t see how the nice view is going to finish that project for him, or help his soggy socks. What does work then? If yelling from the top of the mountain doesn’t do it, what will? There was an early hymn in the Church that captured this idea. Paul includes it in the book of Philippians. Jesus, who being in very nature God did not consider equality with God something to be used to his own advantage; rather he made himself nothing by taking the very nature of a servant, being made in human likeness. And being found in appearance as a human being, he humbled himself by coming obedient to death – even death on a cross! Therefore God exalted him to the highest place and gave him the name that is above every name, that at the name of Jesus every knee should bow, in heaven and on earth and under the earth, and every tongue acknowledge that Jesus Christ is Lord, the glory of God the Father. So what does he do. Does he tell us about it from a lofty place, and spew directions at us? No, though he was the very nature of God (standing on the mountain with all the wonders that that view had), he became the very nature a servant- a human – like us. Jesus comes down the mountain and meets us in the mud. He gets his socks wet too (well he was wearing sandals, so he gets his feet dirty). He wades through the trees with us (he even get’s nailed to one). He cleans the mud off our boots so we can walk a little easier. He shows us that if we walk the trail of life with others, helping one another in the process we’ll get to the top with more life left in our being, and we may even find joy in the journey! So what then do we do when we encounter people with different worldviews? We’ll we do our darned best to meet them where they are. To see things from their standpoint, to “meet them in their mud”, and stand beside them, not sit on their heads. Sometimes those other worldviews are going to come from a friend. Our friends have had different life experiences than us, we may have shared many with them, but if you’ve talked to your friend long enough you’ll have noticed lots of differences along your journeys. So what do you do? Dismiss their experiences and say, ‘get over that’ or ‘well my family isn’t that crazy so something must be wrong with yours’. No. We meet them where they are, we experience life with them, so that we can get to the top of the mountain together. There is an important reminder here. When we meet people where they are, that doesn’t mean we lose our worldview. It doesn’t mean we forget what the view at the top of the mountain looked like. In fact we need to take that with us, because we walk through the mud as people who know how good the view is, not people who are over obsessed with sock moistness. That doesn’t mean that we blow off the concerns of the people we’re walking with, that would miss the point all together. Their socks really are bothering them- they have real pain and concerns. The project waiting for them really does matter to them- they have real stress and anxiety that can’t just be blown over. But we walk with them through that, showing them a better way, loving them and helping them. Like Jesus. At this point I think it would be the perfect time to talk about knowing when to hold ‘em and knowing when to fold ‘em (that’s right a Kenny Rogers reference). What I mean is this. Yes, we are supposed to love people, and rather than beat them over the head with our worldview, walk with them and support them. That being said, there are some people we need to love from a distance. There are some relationships that are destructive, and could even be downright abusive. I’m not saying we have to go and keep ‘experiencing life’ life with those people. They may very well drown us in the mud. You need to be smart, and if it turns destructive, if you can no longer remember the top of the mountain, or are getting beat up (literally or emotionally) along the way, it’s okay, and better, to love at a distance. God may ask us to help others up the mountain, but God made the mountain, so he knows they need help and is capable of helping them too. So what if the person who my worldview is clashing with is a family member, like a parent? Let me start off by saying, pretty much no one in the history of the world has had the exact same views as their parents (again because of the specific standpoint principle and), because at some point we all see that our parents are human, humans aren’t perfect and we see how we might want to be different than them. That’s all good and for the record normal and healthy. But we can’t always go meet our parents where they’re at and ‘help them up the mountain’. (By the way, I’ve been putting us in Juliette’s shoes, but we will also find ourselves in Jonathan’s shoes and there are people who’ve been higher up the mountain that can help us. But we’ll get back to that in a bit). We may not be in the same situation with a parent as we are with a friend, but we can still do our best to understand their specific standpoint. All of our parents come from a different culture than we do. For some of us that’s more drastic than others. For some of us, our parents were born and grew up in a different country, continent and overall culture (no not planet, even if it feels like that sometimes). They are a product of that culture, and you are a product of this one (I don’t mean you’re a marketable good, I mean you’ve been impacted by North American culture). Even for those whose parents grew up in the same country and city as us the cultural climate when they were teenagers was vastly different than now. When my dad (who for the record was actually born in a different country The United States of America) was 15, the Beatles recorded their first single, the movie Laurence of Arabia premiered, the Vietnam war still had 13 more years to go, and Jim Carrey was in diapers (probably still making crazy sounds). When I was 15 Toby McGwire was Spiderman, people were wasting money to see Star Wars :Episode Two, the war in Afghanistan was still a ‘new’ thing, and John Mayer was a happy go lucky pop musician. Oh how things change, and yet stay the same. My point is that our lives are defined by different makers than our parents, and that will give us different worldviews. The photos and video of the attacks on the World Trade center in 2001 will forever be etched in my mind, and I will always remember the morning when I was watching Whose Line Is it Anyway (the original British version) before school and a scrolling news line came across the screen saying there had been a terrorist attack in New York. My kids (heck even the kids in the Teen Class) will only know about it from a history book (in which, no doubt, all the facts will get in the way of understanding the political and emotional climate of the time). All this goes to say each generation has different worldviews that will clash at times and at other times just make us shake our heads in wonder. So what do we do about it? In a way we do the same thing we do with our friends just a little differently. We invite our parents to be part of the journey we’re on (yes even if we think they’re so “un-cool”). We bring them into the things that interest us and show them the breathtaking views we are discovering. Now does that mean they will always have time / want / be able to come along with us? I wish I could say yes, but the reality is no. That can be frustrating yes, but as much as we can we don’t hold it against them. 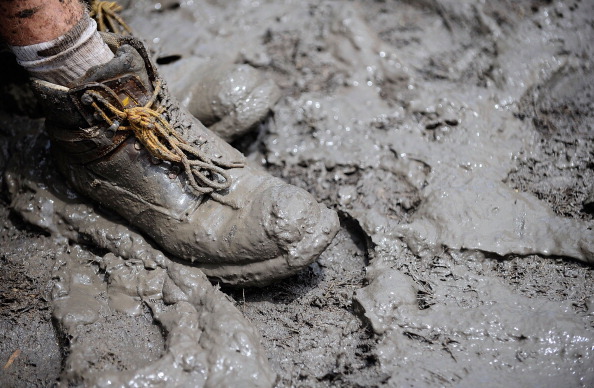 We understand that they have mud of their own to deal with. So what if our parents think the views we’re forming are wrong? That’s a good question, and I’ll start by saying, maybe they are. As teenagers (and young adults) we think we know a lot more than we do sometimes, and sometimes our parents have a lot more experience and understanding than we give them credit. The reason it hurts when that happens, (meaning when they try and correct us) is maybe they aren’t meeting you where you’re at. Maybe they’re yelling from the top of the mountain, and as we’ve discovered, that sometimes rubs us the wrong way. This is when it’s best to understand that they, like Juliette, really do want the best for you, they might just be going about it in a way you don’t like. This leads us back to the idea that sometimes we’re in Jonathan’s shoes. We need someone to come and meet us where we are at and help us figure out the mud and good sock drying techniques. It’s important to remember that we all have different views. In one relationship we may be a ‘Juliette’ and in the another we may be a ‘Jonathan’. This is the natural way of things and again a healthy thing. You need people helping you, as you help others. That still leaves us with the question, “But what if I actually am right and they’re wrong?” Well first off it’s probably not always the best to start off those conversations, by saying “Yeah, well you’re just wrong!” I think our experience on the playground has shown us how effective it is. Oh yeah well I’m rubber and you’re glue…. We have to understand that we can’t make someone else have our worldview someone and they probably can’t make theirs ours. Sometimes the best thing we can do is be as understanding and open of why they see things the way they do, and then communicate why you see things they way you do. If you can open the conversation up to how you got to that place in the mountain, it may help clarify things. And at the end of the day it’s important to remember, it isn’t our job or place to change people’s worldview’s in the first place. We don’t need to make them see what we see, we need to acknowledge who they are, and that they are loved by God in the same way we are. We love them and encourage them, we do everything we can to bring joy and life into their world, and we let them have the view they choose to. Next week, we talk about our reflections – and seeing ourselves how God does.